We first blogged about these Stuart Weitzman 'Alex' Espadrilles which retail for about $365 back in January and found a similar look for less at Dillard's for $65. But during a recent visit to JCPenney over the weekend I was so excited to find another pair of very similar espadrilles for just $44. It's from their 'Call it Spring' Collection and it also comes in black. 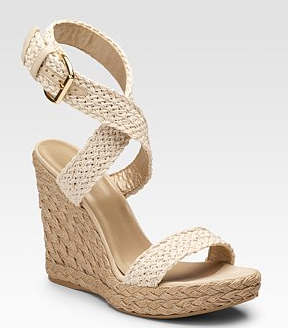 I ended up buying them in beige and can just see these becoming my go-to shoe this spring and summer.